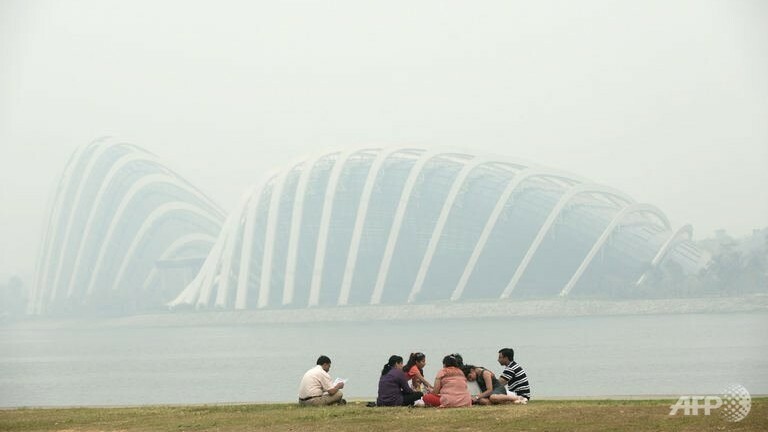 Transboundary haze may return in the coming months, but Singapore will be better prepared this time, said Environment and Water Resources Minister Vivian Balakrishnan. SINGAPORE: Transboundary haze may return in the coming months, but Singapore will be better prepared this time. Environment and Water Resources Minister Vivian Balakrishnan said this on the sidelines of a community event on Sunday. Dr Balakrishnan said the fact that Singapore was hit by the haze earlier this year is a warning sign that there could be another one coming. It could be exacerbated by the El Nino effect — a weather phenomenon which causes severely dry weather and high temperatures. Dr Balakrishnan said: “People know what the situation is, we have got all the systems in place to keep people informed and up-to-date, literally on an hourly basis. “There will not be a mad rush for masks, literally, because this time round, every household has masks. He also lauded the move by Singapore Power, SingPost and Temasek Cares to distribute free N95 masks to households, and he hopes to see more of such initiatives from the private sector. Dr Balakrishnan said: “This is the sort of mass participation that we want to encourage. On the environment front, it is not possible to make sure nothing ever happens. via Haze may return in coming months: Balakrishnan – Channel NewsAsia.